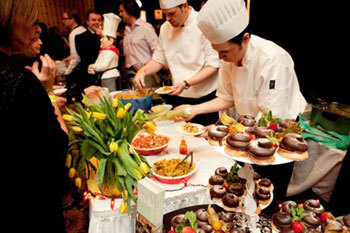 The Savour Food & Wine Festival offers many unique and specialized opportunities for sponsorship. From involvement as a product sponsor to naming rights for the festival, the Restaurant Association of Nova Scotia (RANS) offers a multitude of sponsorship opportunities. For more information on sponsorship, click here. Please contact Gordon Stewart, Executive Director, at to discuss some fantastic opportunties!